Triangle USA is an expert panel of financial professionals focused on you. When it comes to entrusting your money and future into the hands of an investor, developer, agent, broker, or partner, we are the ones who care about nothing but looking out for you. With every salesman claiming the best investment/plan/rate for you, you need confidential, unbiased, third-party advice you can trust. That’s why we assess your options, review contracts, find loopholes, and collaborate with the finest professionals in your field of interest. All to help you make the decision that benefits you above all. Does the offer align with my needs? What’s the true risk factor? Is this the best deal I can get? Do I know all my options? Am I overpaying on premiums? What’s my Internal Rate of Return? Is there any bias in products/setup? Am I making the right decision? Any loopholes in my contract? Any hidden terms to be aware of? Are the facts I was told accurate? I was offered 10-15%, does it sound right? What do we actually do? Where do we invest our time and effort? It all depends on your individual situation. We believe no one size fits everyone in financial security, and therefore take a blank-canvas approach to examining your personal case. 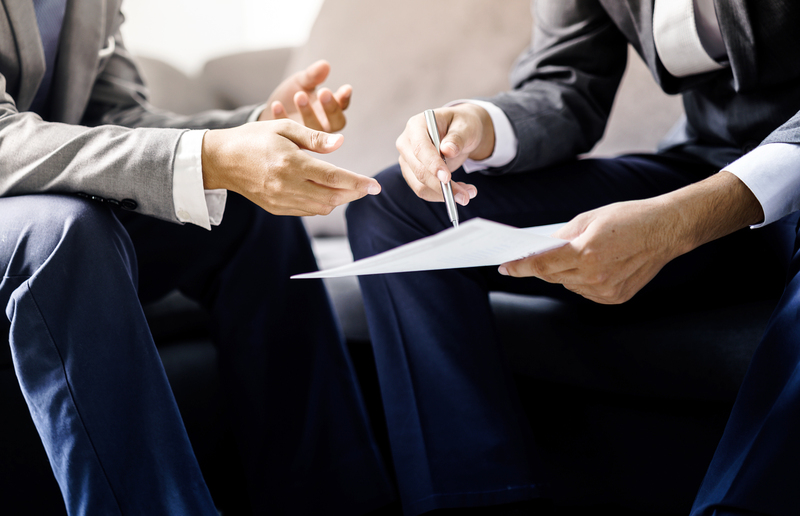 Only once we know your story and understand your goals can we ensure you get the best out of every deal. Every promise. Every document. Ever word. We comb through the offer you received or the plan you are considering, searching for any areas in the language or overall picture that may leave you at risk. In collaboration with the best minds in each respective industry, we compare your story to benchmarks and proven successes. That helps create a truly transparent view of what you can and should get. Overfunded life insurance (OLI) is a popular option to build substantial savings in a tax favored account, via cash value life insurance. OLI policies are designed to offer maximum early high cash value along with the asset protection and tax benefits of life insurance. 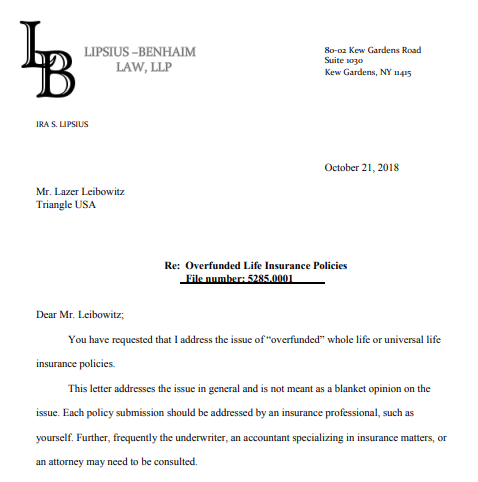 Overfunded life insurance is essentially a universal life (UL), whole life insurance (WL), or variable universal life (VUL) insurance policy where additional cash contributions are made to boost the policy’s cash value. This added cash grows tax free in the policy’s cash account and can be accessed via cash withdrawals or policy loans. I have been advised that some insurers discourage overfunding. Many agents discourage over-funding. Whether over-funding should be discouraged or encouraged is a function of the insured’s financial needs. I consider myself a pretty savvy businessman. That’s why I was rattled by what happened this past month, showing me things are not always as they seem. A prominent real estate agent offered me a deal of a lifetime: a condominium in New Jersey on sale. "I know a good deal when I see one”, he claimed. “Go for it now! It's in a prime location, with revenue, and everything is in place." I was hooked. Well, almost. Thank God I consulted Triangle. After their in-depth research into the deal, I was in for some shocking surprises. First, the legal square feet was much lower than what I was told; second, the rent was lower with about 25k/year; and finally, one brick wall was in desperate need of replacement—at the cost of at least 25k! I also know a good deal when I see one, thank you very much. And thank you Triangle for saving me from a serious mistake. I was sold a life insurance policy and was told it will grow each year 5% I’m now 8 years letter and still not have close to the $ I have put into the policy, still missing 15k. Bottom line: I agree you should take before unbiased advice. We had a great experience using triangle. Their professional staff were very helpful throughout every step of the way in buying our first home. Their friendly demeanor, and expert advice made us feel comfortable and secure while saving us $1000' of dollars. I would definitely recommend triangle to anyone investing. Thank You triangle for the great experience we had with you. Shopping for life insurance was very confusing. I got offers from many brokers which seemed very promising, I didn't know which one works for me. Then a friend referred me to Triangle, and yes she was right! Triangle helped me weigh my options, and even offered me other options as well. They got me a to the right broker with the right policy for my budget. Dealing with their courteous staff was a pure pleasure. 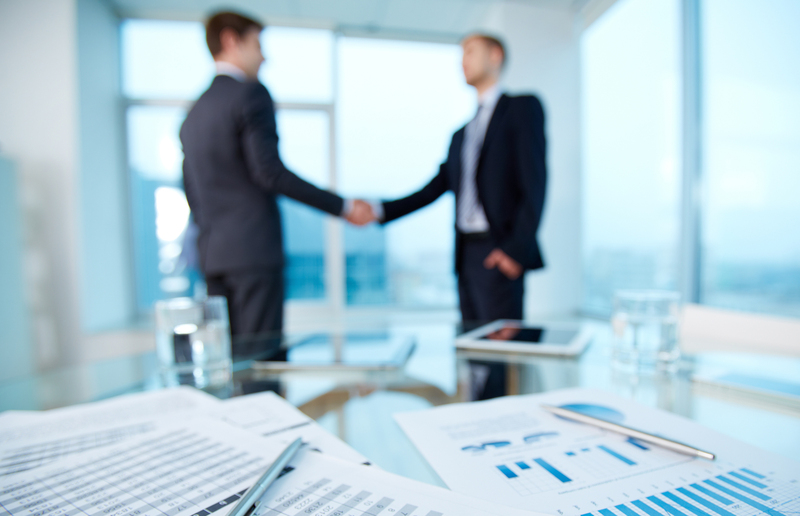 Need help preparing a partnership agreement, purchase protection, employment contract, etc.? Enjoy a full hour of intake, advisory and strategy with one of our veteran attorneys, and take advantage of 20+ years of experience in negotiating and preparation of business agreements and contracts. Enjoy a special rate on a second opinion, complete with notations, for both English- and Yiddish-language contracts. It's your life. Own it.Compare rates of over 100 life insurance carriers now. Octagon and save even more!